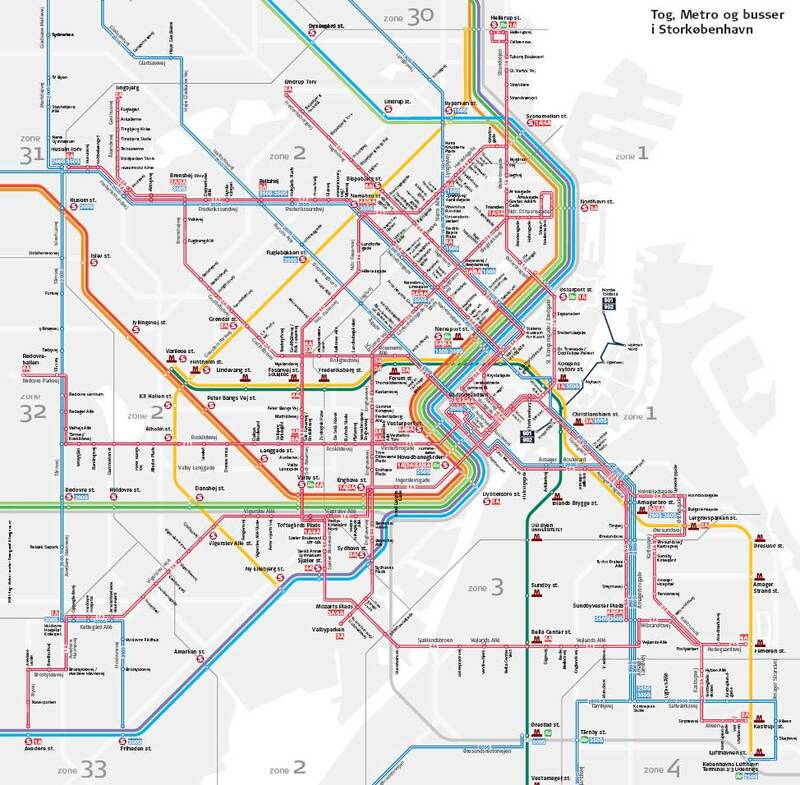 The Map Room blogs about San Francisco's new public transport maps that will employ more "straight lines", also covered more in depth here. 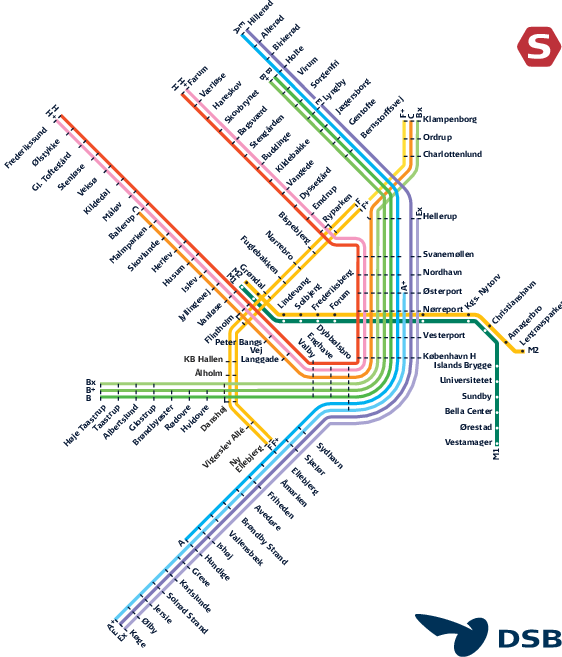 I find these sort of map abstractions really interesting, so I thought I would chip in with a couple of similar "straight-lines" public transport maps from Copenhagen. It must take a good degree of ingenuity to weigh accuracy with simplicity.